System Integration – Total Meter Services Inc.
Systems integration has traditionally been a crucial specialty in technology driven businesse. Proprietary, closed systems needs to be upgraded or, as is often the case, legacy hardware or software must be preserved within modern computing networks, graphical user interfaces (GUIs) or hardware connection standards. At TMS, we’re specialized in building computing systems for clients by combining hardware and software products from multiple vendors. 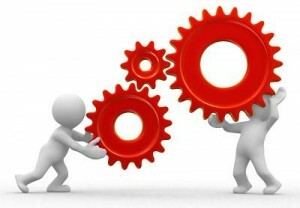 Using a systems integrator, a company can align cheaper, pre-configured components and off-the-shelf software to meet key business goals, as opposed to more expensive, customized implementations that may require original programming or manufacture of unique components. Creation of these information systems may include designing or building a customized architecture or application, integrating it with new or existing hardware, packaged and custom software, and communications infrastructure.